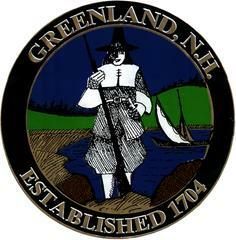 Greenland Budget Committee urges residents to attend a public hearing on the proposed town and school budgets at 7 p.m. Wednesday, February 10, at Greenland Central School. In the event of a cancellation due to inclement weather, the snow day will be Thursday, February 11 at 7pm. "It's important for us to hear the input of the town in considering what areas we will be looking to reduce or leave as they are," she said. "In the interest of the economy, we're taking a very proactive approach to both the town and school budgets, and any cuts we propose will be to keep the budgets financially manageable and eliminate any spike in the tax rate." The proposed operating budget for the town is $2,812,618 while the proposed school budget comes in at $7,767,494. The final school budget will be voted on at the annual school district meeting which is scheduled for 7 p.m. Wednesday, March 10, at Central School. The final town budget will be voted on at the annual town meeting which is scheduled for Saturday, March 13, at Central School.